Friday, December 2nd is the annual Hometown Holiday Celebration! This free event will be at Town Center South. 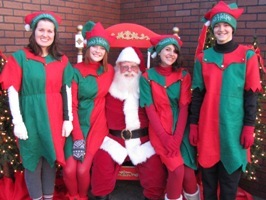 Some of the festivities will include: caroling, live entertainment, food, and Reindeer. The tree lighting will be at 5:00pm. Your children will even have a chance to meet Santa! Choo Choo Jack is Two!